TVEyes Broadcast Media Monitoring Helps Competitor Group Finish First with Sponsors and Charities. Media monitoring case study – managing media for 28 massive live events each year – in the U.S., U.K. and Europe. 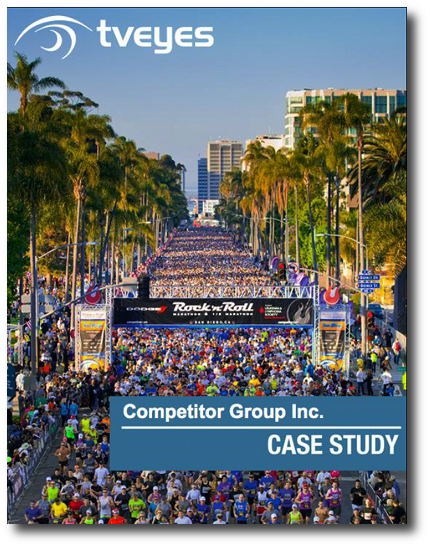 The public relations team at Competitor Group manages Rock 'n' Roll Marathon events across the country and Europe. Its events draw tens of thousands of participants, global brands as sponsors, raise millions for charity, and light up local media with images of achievement, doing good and having fun with concerts at the conclusion of each event.